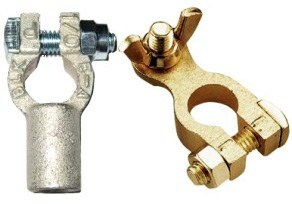 Tinned copper battery terminals and Brass terminals resist corrosion and are superior in Marine environments. High amperage flow for optimum performance. Tinned copper terminals can be crimped or soldered.